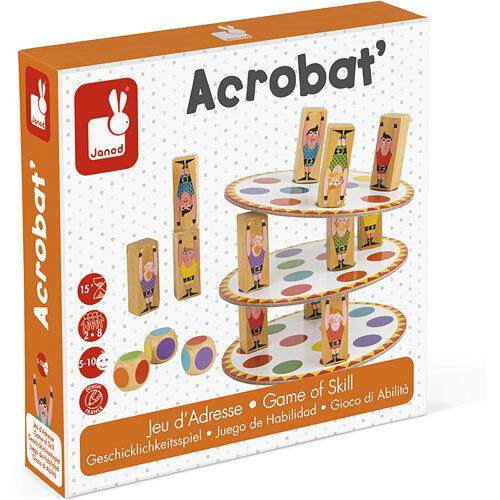 Janod Acrobat Skill Game is a fun balancing game for 2 to 8 players. Each player starts with a 4in. Diameter cardboard disc that contains random color dots and 3 adorable 1.3in. 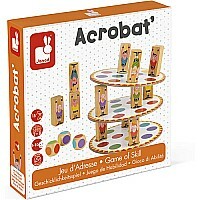 Wooden acrobat playing pieces. 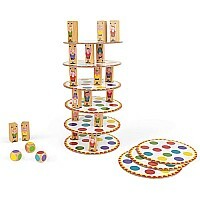 Each player rolls the 3 dice to determine which 3 color dots to place the pieces on, before stacking another disc on top. 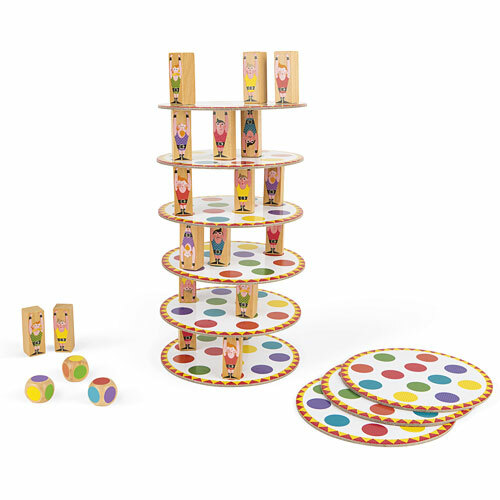 Play continues until one player's tower topples. That player loses and whoever has the highest tower, wins! 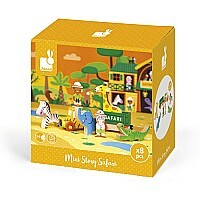 Includes 57 wooden acrobat pieces, 20 cardboard discs, 2 wooden dice and a storage bag. 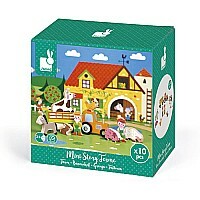 Recommended for children 5 years of age and older.